The Lord of the Rings: The Battle for Middle-earth II is set in the LOTR universe and offers a real time strategy experience for Windows and the Xbox 360. The game lets players explore both a good and evil campaign letting you experience the game world from both sides. The game is very similar to the previous games in the series (and most other RTS experiences) with players constructing their base from humble beginnings, gathering a number of resources, researching technology, building defensive structures and attacking enemies. The game has a total of six different factions with each having their own units and structures along with a preferred type of gameplay. The Goblin faction for example focuses on over running your enemy while the Ents are masters of siege combat. This mixture of factions ensures everybody has a faction for their playstyle and also encourages plenty of replay. For combat simplicity all units are broken down into certain categories (siege, cavalry, ranged, pikeman and infantry). Each of these classes has obvious strengths and weaknesses with the game’s combat relying heavily on this rock-paper-scissors type of setup. 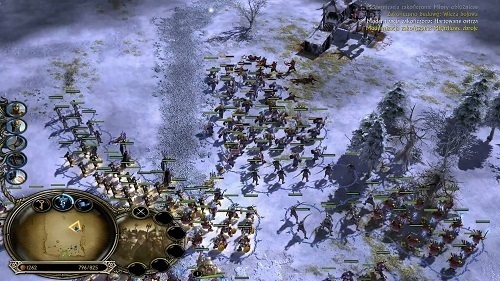 Players can also call upon hero units from the LOTR franchise to help them in battle including favourites like Aragorn, Legolas, Gimli and Arwen. As an alternative option you can even create your own hero with the hero creator which is a nice touch to the game. The Lord of the Rings: The Battle for Middle-earth II also includes a War of the Ring mode which splits the game world of Middle-earth into a number of territories. 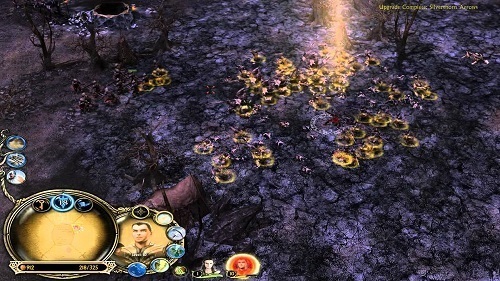 Players then build structures and move their army around in turns while battles are fought in the core real time gameplay. This feature definitely adds hours of additional content as most players will want to take over Middle-earth after finishing the good and evil campaigns. The Lord of the Rings: The Battle for Middle-earth II has plenty of solid gameplay to enjoy. It’s also hard to find a console RTS experience that matches it, so if you are a fan of LOTR wanting a console strategy experience then this is the one to rule them all. A real time strategy experience set in the Lord of the Rings world. Plenty of different factions to choose from. One of the few RTS games available on the Xbox 360.